We have cut and pasted below the final SREC II factor guidelines which were released just yesterday. While most of this is what was presented at the DOER Stakeholder meeting on January 31st, 2017 in Boston, some of the changes are worth noting. Specifically the eligibility for good cause to get the extension, is important to note. Also, the extension is now extended to March 31st, 2018. Previously, it was thought that the program would not be extended beyond the end of 2017. This is very important to system owners that are looking to develop projects now vs waiting one year for the new SMART program to be promulgated. System owners now have one year to design develop and build a system to be mechanically complete by the end of March 2018. From the standpoint of Beaumont Solar, this is plenty of time to develop a rooftop project, and also could be enough time to develop a ground array project, considering that the project does not have significant hurdles. For those system owners who are in Municipal Light Plant territories, this would be the time to develop those projects, as the new SMART program has no provisions for MLP serviced regions. At Beaumont Solar we are in a position to calculate the trade offs of going with the SREC II extension vs. SMART for your review and comment. Please feel free to reach out to us and ask questions regarding the program, timing, tradeoffs, and benefits. 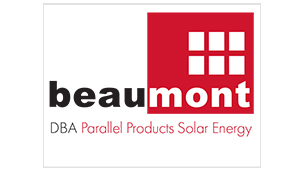 You can contact us on email at: info@beaumontsolarco.com or by phone at 508-990-1757 x-201. can demonstrate that they are mechanically complete or commercially operational by March 31, 2018 will receive the SREC Factors identified in the following table, pursuant to the SREC Factor Guideline. To qualify for a good cause extension, an applicant must submit a new application through DOER’s online Statement of Qualification Application. The applicant must then fill out the SREC II Good Cause Extension Request Form, and email the form to DOER.SREC@state.ma.us with the subject line “SREC II Reduced Factor Good Cause Extension Request”.